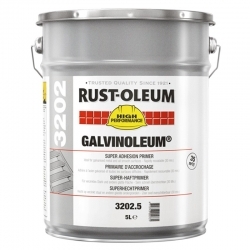 Rust-Oleum 3202 Galvinoleum Primer is a single pack super adhesion primer for galvanised steel, plastic or other smooth surfaces. 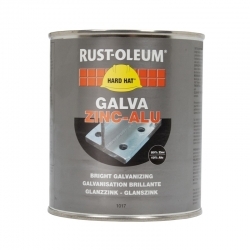 Rust-Oleum 3202 Galvinoleum Primer should be used on galvanised steel, stainless steel, aluminium, copper, glass, porcelain and other smooth, dense surfaces. 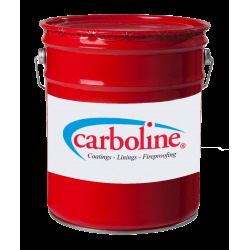 Only intended for brush application and can be recoated with Rust-Oleum 7500 Alkythane, improving the adhesion on very smooth and nonporous surfaces. 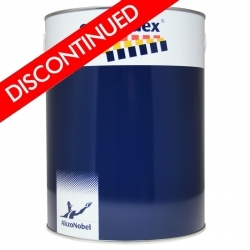 Adheres to all smooth metal, like galvanised and stainless steel, aluminium, plastics etc. Remove grease, oil and all other surface contaminations by alkaline or high pressure (steam) cleaning in combination with appropriate detergents. Remove previous coatings completely. Remove salts, 'white rust', etc., by washing with Surfa-Etch 108 Etching Solution. 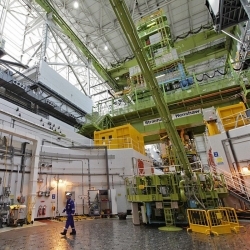 The surface must be clean and dry during application. 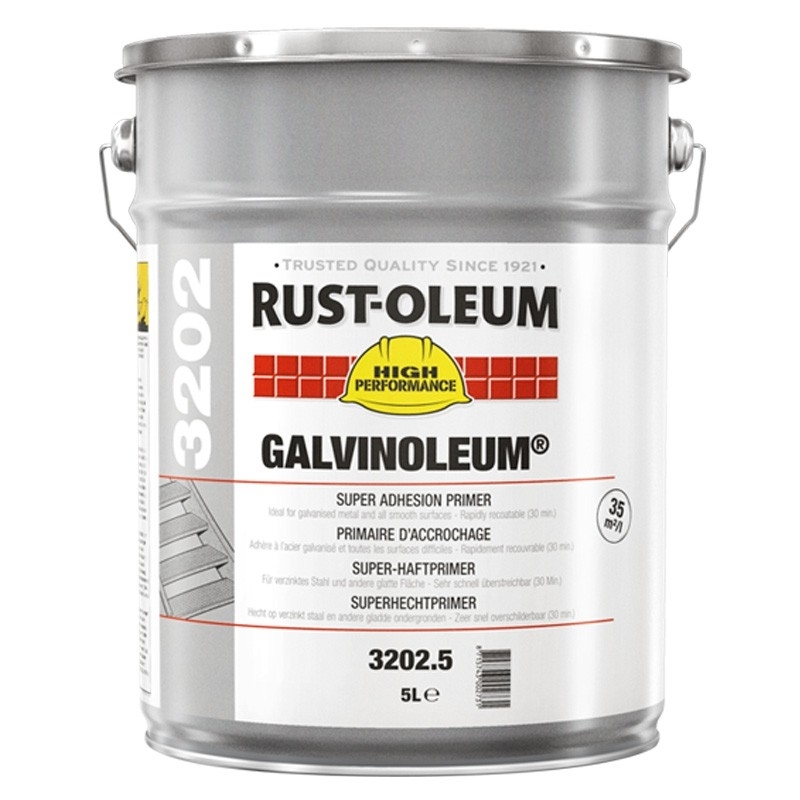 Hello, Can Rust-Oleum 3202 Galvinoleum Primer be painted over with Rust-Oleum gloss Direct to Rust Paint ? 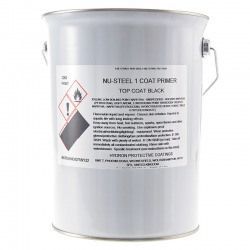 International Interplate 855 is a fast drying, two component, weldable zinc silicate pre-fabrication primer for application by manual or automatic spray used as a temporary protective primer for the coating of steelwork prior to the fabrication process. 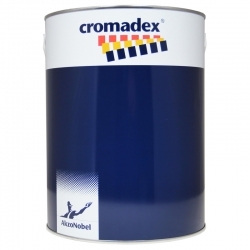 Cromadex 230 Stoving Primer Filler is a stoving primer filler containing melamine giving improved durability. The product can be overcoated wet-on-wet enabling rapid application. Cromadex 230 Stoving Primer Filler is available in white as standard, it can also be tinted to ensure complete coverage even on difficult lead free colours. Cromadex V39 Rail Refurbishment Primer is an alkyd primer formulated for refurbishment programmes in the rail industry. When used as a system with Cromadex V60 Two Pack Rail Topcoat it meets the following specifications. 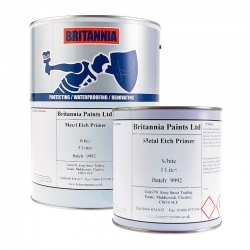 BS 6853 1999 Annex B, BS 476 Part 6 : 1989 Class 0, BS 476 Part 7 : 1997 Class 1.
International Interzinc 72 is a two component, metallic zinc rich epoxy primer, designed to provide excellent corrosion resistance both as a single coat and as a primer for a high performance coating system. Contains 90% zinc by weight in the dry film. Jotun Jotacote Universal N10 is specially designed as a universal, all round, all year, new building coating where fast dry to handle times are required. 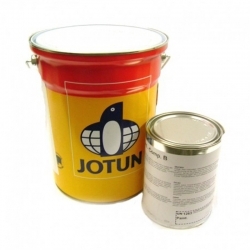 Jotun Jotacote Universal N10 can be used as primer, mid coat, finish coat or as single coat system in atmospheric and immersed environments and is replacing the current Jotacote Universal product.